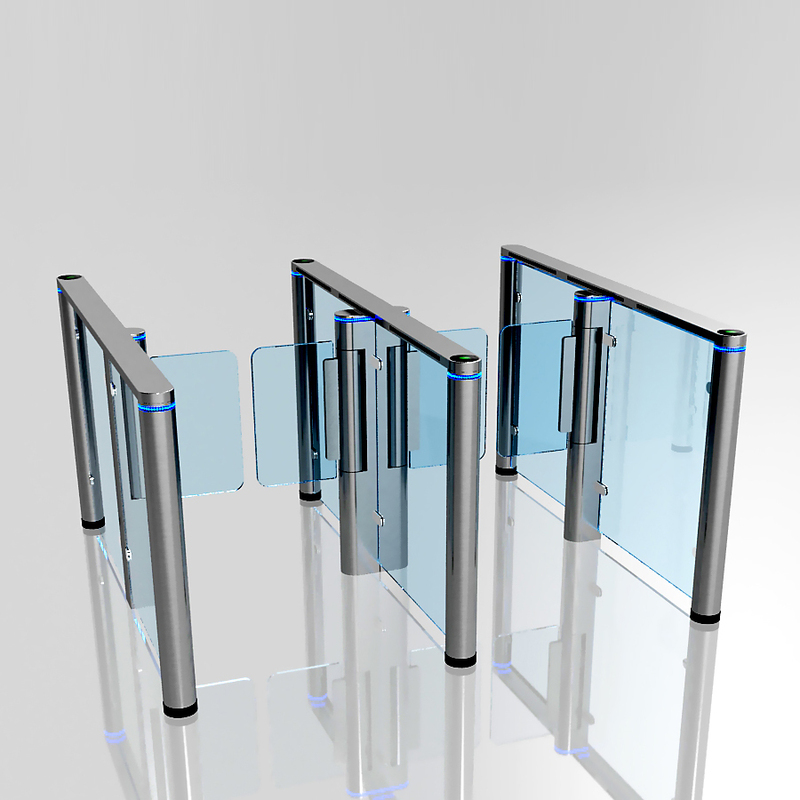 The speed gate turnstile is with high-quality DC brushless motor is configured and advanced servo control system is carried to truly achieve precise control, stable performance with no maintenance. The matrix type photoelectric stereoscopic detection technology is adopted to sensitively detect the behaviors that threaten the passageway safety, such as illegal intrusion, reverse passing, tail-gating, and give out alarms through sound, light, etc. 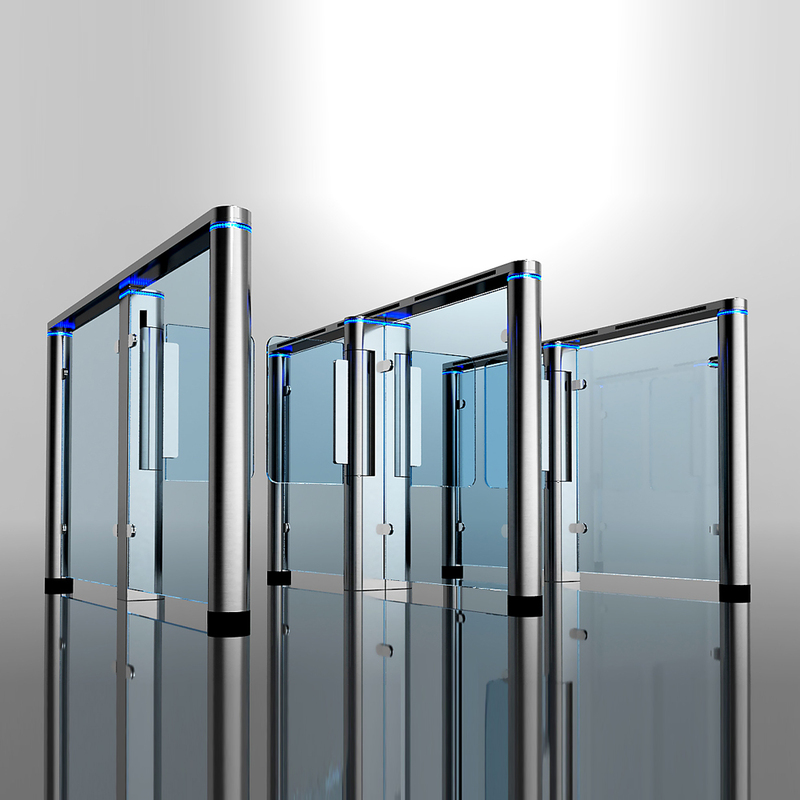 The turnstile can be combine with other security systems. 1. The turnstile opens automatically to evacuate people in the event of an emergency, such as fire, power failure, etc. 2. Infrared and mechanical anti-clamping functions provide double protection. 3. The gate can be pushed slowly when a sudden impact force is applied beyond the safety range so as to protect the machine and the pedestrian effectively. 4. All electric modules are designed to operate under the safety voltage of 24V, and are configured with residual current protective devices to effectively avoid electric shocks. 5. RFID access controller, fingerprint reader, facial identify reader, qr code reader, barcode reader, consume system optional.